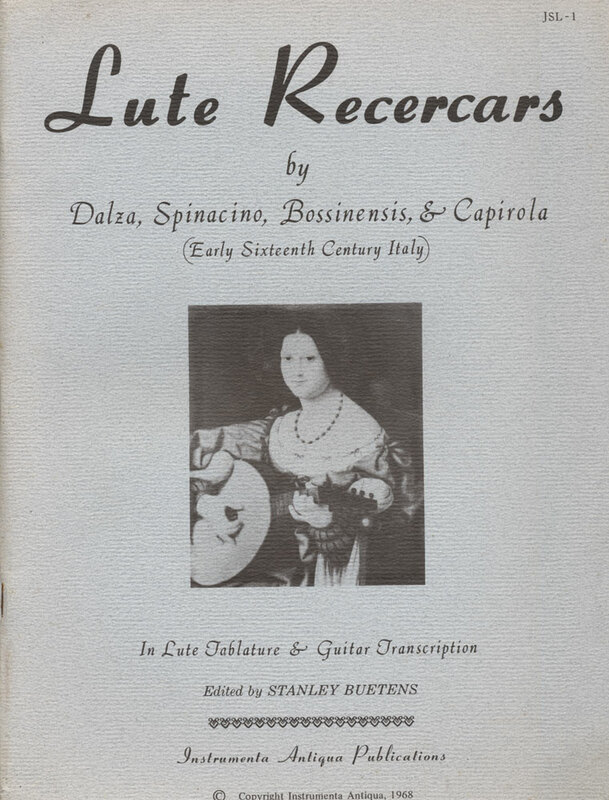 We have a variety of books for lute and other instruments, at a variety of skill levels. Please let us know if you have any questions about any of the publications. In the near future we will begin digitizing all of the books (starting with the out-of-print ones), and will make them available here and other places. All books listed here are for sale unless otherwise stated. A PayPal account is not required for purchase, credit cards are accepted through PayPal. Those in California will pay sales tax of approximately 8%. Your cart will show up on right or bottom of page once you click ADD TO CART. If you are interested in buying 10 books or more, please email us to receive a discount on your order prior to ordering. Shipping is FREE for orders in the USA. Shipping for Canada and for the rest of the planet will be entered based on your location on the Paypal site (after clicking CHECKOUT). 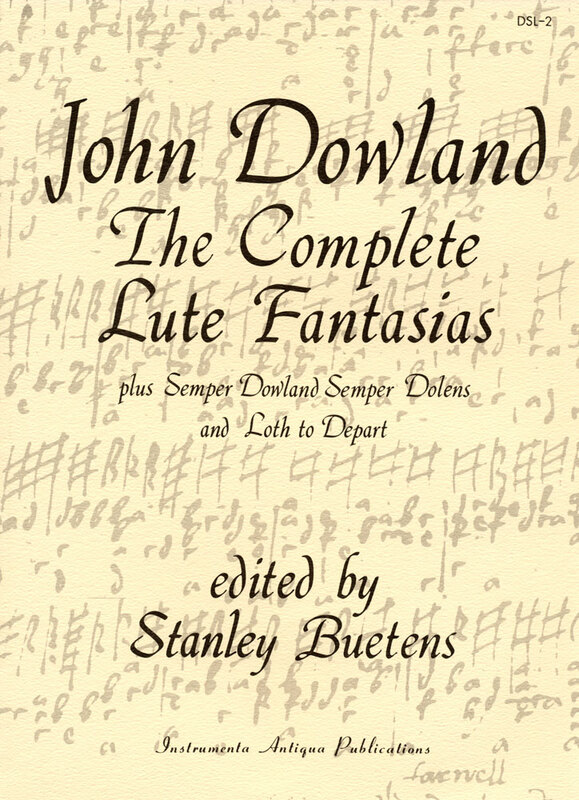 The Fan­tasias of Dow­land are some of the great­est lute music of the Renais­sance. They are the cre­ation of a great spirit and unique musi­cian. They demon­strate why Dow­land was the unri­valled lutenist of his or any age. Ten fan­tasias are pre­sented here, but only seven can def­i­nitely be ascribed to Dow­land. The remain­ing three are also excel­lent pieces, Dow­lan­desque, and can be attrib­uted to no other known com­poser. But strictly speak­ing, they must be con­sid­ered anony­mous. In addi­tion to these ten pieces, two other fantasy-like com­po­si­tions are included — Sem­per Dow­land Sem­per Dolens and Loth to Depart. The edi­tor con­sulted all Eng­lish ver­sions of these pieces and has resolved ambi­gu­i­ties and cor­rected mis­takes found in the orig­i­nals. Only one of the fan­tasies was printed in Dowland’s time, and even this one is not error-free. Thus, the result pre­sented here are com­pos­ite cor­rected ver­sions derived from all Eng­lish sources. In each case, the best, most inter­est­ing, and musi­cally con­sis­tent ele­ments were cho­sen when­ever a choice existed. Sev­eral pieces exist in only one source, so here only obvi­ous mis­takes were cor­rected. The emi­nently read­able tab­la­ture sys­tem of Instru­menta Anti­qua is used and the music is laid out to avoid page turns when­ever pos­si­ble. 37 pages. Our first book of tablature brought back by popular demand. The ornament chart has been updated and the errors in the original have been corrected. The book for beginning and intermediate lute and guitar players that has launched a thousand careers. Back in print! All the same content as the original! Main design remains the same. All artwork restored to original quality. Can also be purchased at Amazon. 26 pages. 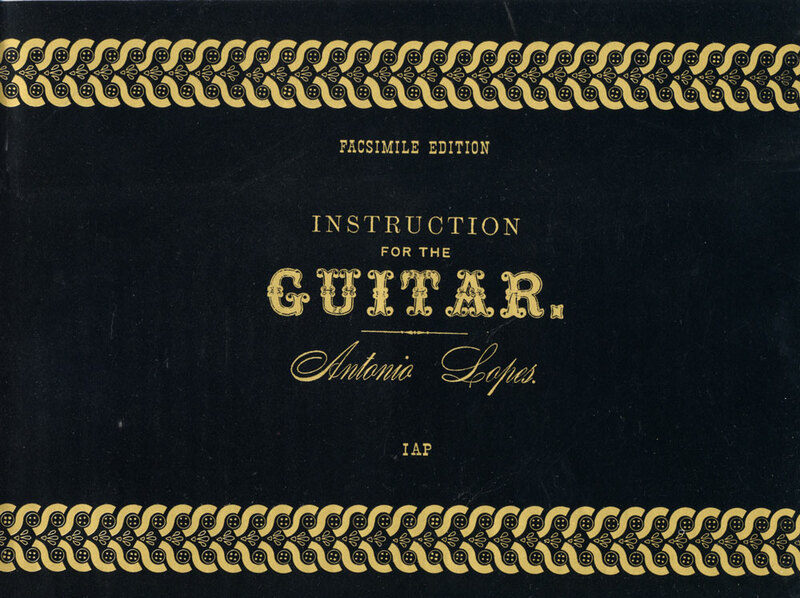 Instruction for the Guitar by Antonio Lopes (published in 1883 in Brooklyn, NY) is a complete method for the study of the classical guitar as well as an extraordinary reference on all aspects of the guitar, harmony, modulation, accompaniment, rhythm, etc. Here, the guitar is used as a basis for a thorough musical education. It is a product of an era that was serious about guitar playing and musical education in general. Price Reduced! Thirteen early Italian pieces by Dalza, Spinacino, Bossinensis, and Capirola are given in French-English tablature with a separate transcription for modern guitar. An introduction explains the form. SOLD OUT! 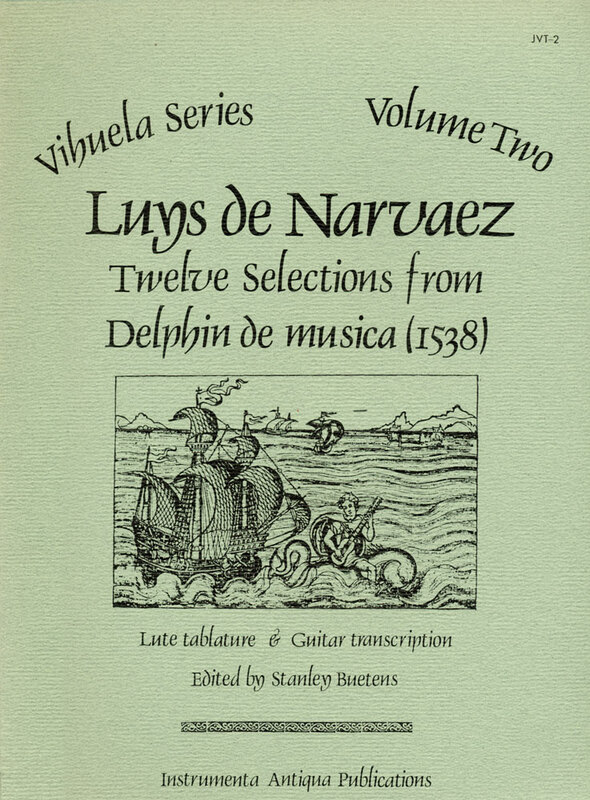 The Delphin de Musica was the second work to appear for the vihuela in the 16th century. Milan’s El Maestro, which appeared two years earlier, and the Delphin are the finest of all the vihuela books and rank with the great instrumental music of the century. Narvaez’s use of the vihuela was original and his musical idiom daring and inventive. Even in his own age, his achievements were recognized and appreciated. Twelve of the best pieces (some of them quite long) are presented in this edition. The tablature has been changed to the French English letter type, since it is more widely known today. 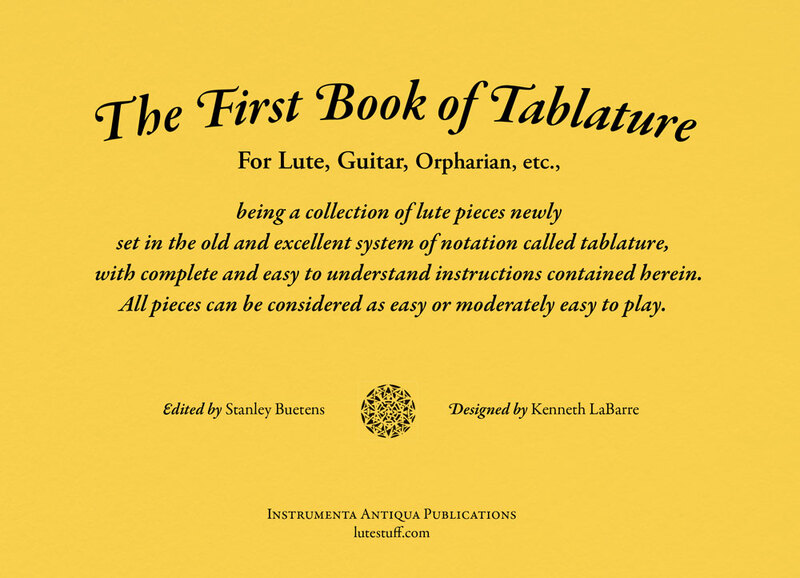 It is newly set in Instrumenta Antiqua’s unique and beautiful tablature system. A playable and careful transscription for guitar follows the tablature. The layout was planned to minimize page turns in both the tablature and guitar-notation sections. Graphic illustrations and several pages of the original are also given. A preface explores the nature of the vihuela, explains tablature, and discusses the rhythmic intricacies of Narvaez’s music. 45 pages. Originally for Vihuela in numbered tablature, they are presented here in French-English tablature and also given in a transcription for modern guitar. Milan’s original instructions of 1536 are given plus an introduction explaining tablature and the nature of the music. 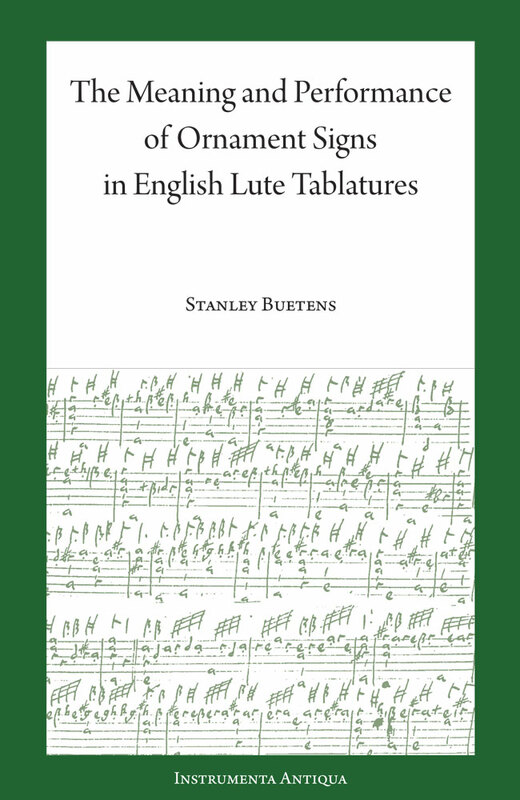 This monograph by Stan Buetens finally solves the mystery of the use of ornaments in Elizabethan times. The solution is both simple and complex because one of the signs has two meanings and different manuscripts employed different signs to represent the same ornaments. This is all explained with simple language and can be easily followed by all lutenists. Back in stock! New cover! Completely redesigned but with all of the same content! Can also be purchased at Amazon.com. 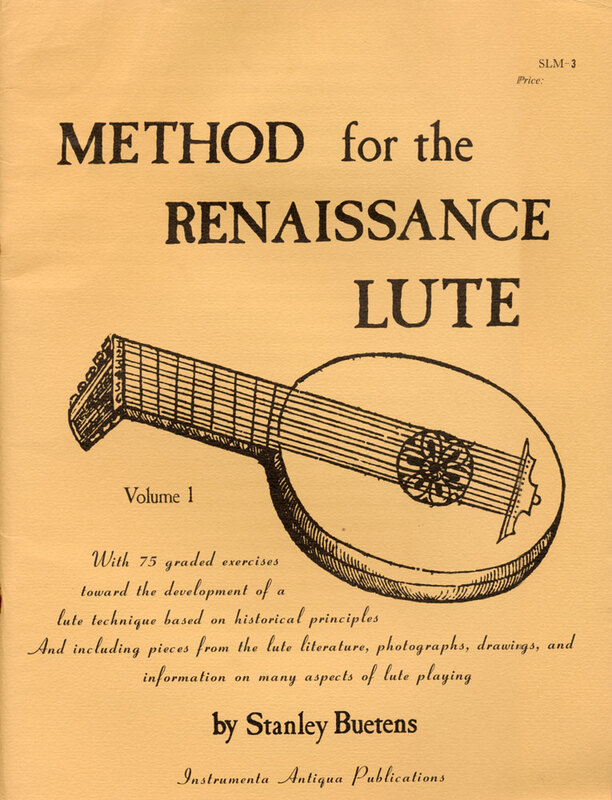 Seventy-five graded exercises toward the development of a lute technique based upon historical principles. Sections on tablature, tuning, ornamentation, playing from a score and many more. English-French tablature. One of our bestsellers! Originally published in 1969. This is the 5TH Edition. 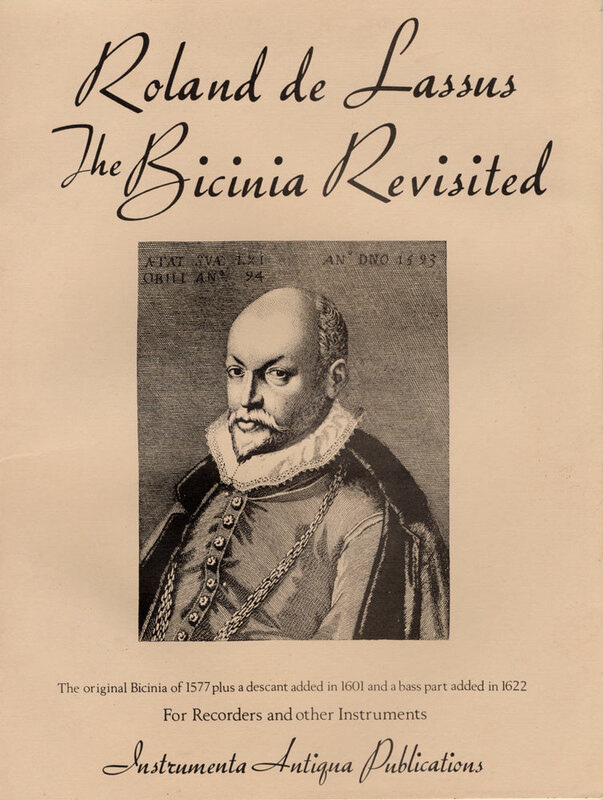 In the early 17th Century an anonymous composer added a third (and higher) part to this excellent collection of 12 duets by the master Roland de Lassus and a few years later in 1622 a lower part was added by another anonymous gentleman in the style of the early baroque. The music can thus be performed in different ways: The original duet, the trio (with added descant) or as a trio (with added bass). The bass line can be played on a melodic instrument alone or on a keyboard instrument or both together. They will not work as quartets since the two additive gentlemen were unaware of each other. Each volume contains two of the 12 duets so 6 editions of this music are envisioned. Score and separate parts are included with an extra part in tenor clef for the tenor recorder. Two copies available (please note that they are damaged but readable). A charming Baroque sonata in G originally for lute and flute. The original key is maintained so it can be played on the lute as well as the guitar. About 7 minutes. PLEASE E-MAIL TO CHECK ON AVAILABILITY OF THIS TITLE. 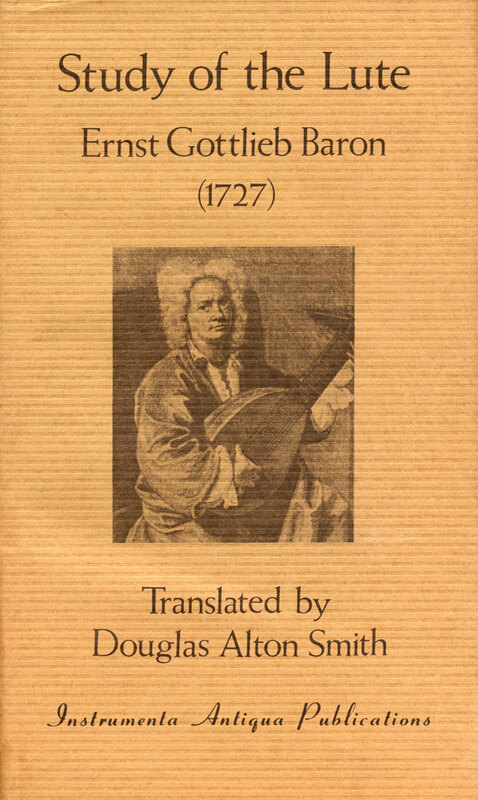 E. G. Baron’s Study of the Lute (Untersuchung des Instruments der Lauten) published in 1727, is one of the most comprehensive and important lute treatises in the 300 year history of the instrument. It contains much information that is unique to it, and deals with subjects that can be found in no other source. 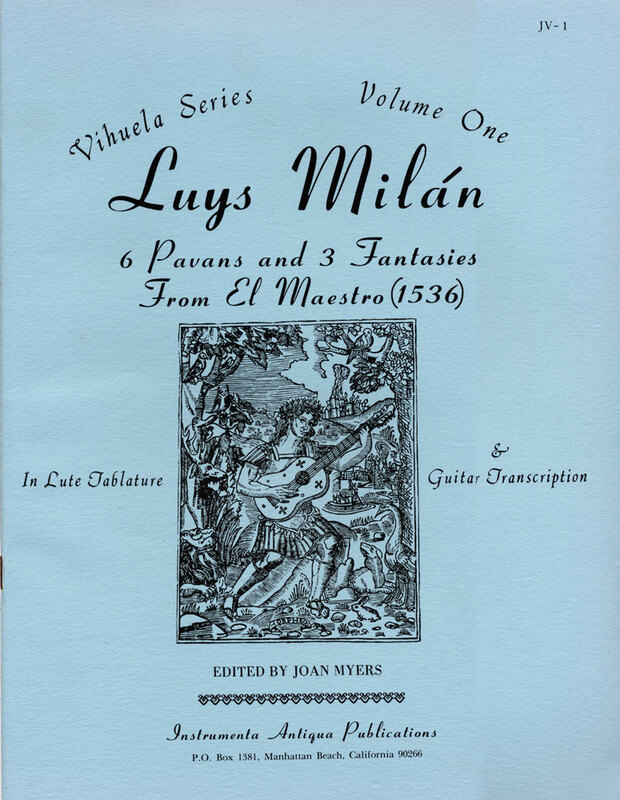 It is a mine of information concerning the history of the instrument, lute makers, composers, players, technique and performance practices of the day. At last, this work has been translated into delightful English by Douglas A. Smith, retaining much of the flamboyant flavor of the original. A long preface gives the background of the work, its era, and the life of Baron. The present edition improves the value of the original, since explanatory footnotes, appendices, and an index have been added. Also, the voluminous Latin and Greek passages have been translated. The book is both delightful and informative. Over 200 pages. Hardbound. Our best seller! *PLEASE NOTE* We are sold out. We are currently digitizing the book for both print on demand, and ebook release. I will post details via the newsletter once it is available again. OK, as you might have guessed, this book has nothing to do with music or the lute! 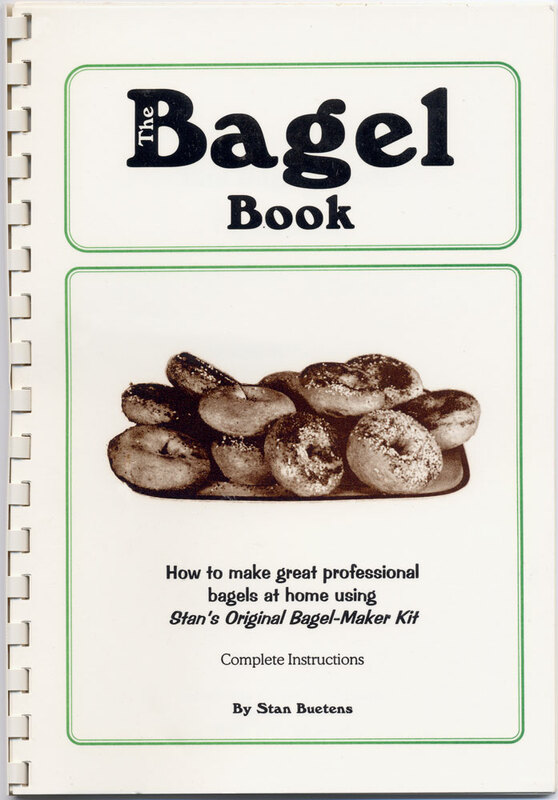 Full title: The Bagel Book: How to make great professional bagels at home using Stan’s Original Bagel Maker Kit. Though created to be part of a kit, this book easily stands on it’s own as a guide to making great bagels. Spiral-bound. Now includes additional page explaining/updating ingredients and where to get them.